To ensure you and your family stay safe this summer, it can help to understand what heat exhaustion is and how long heat exhaustion lasts. Heat exhaustion is a type of heat-related illnesses that can occur after prolonged exposure to extremely high temperatures. When it is hot out, your body regulates its own temperature by sweating. Sweating causes your body to lose water and salt. When you overexert yourself or stay out in hot, humid weather for long periods of time, your body can lose more salt and water than it can handle. 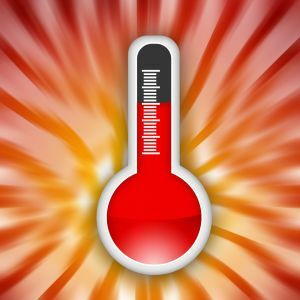 At first, your body may experience heat cramps, the mildest form of heat-related illness. Symptoms of heat cramps usually include muscle cramps, sweating, thirst, and fatigue. Treating heat cramps by cooling off and drinking water or sports drinks can prevent heat cramps from progressing to heat exhaustion. So, how long does heat exhaustion last? The answer depends on how quickly you recognize your symptoms and begin to treat them. Once you notice the symptoms of heat exhaustion, it is important to move to a cooler location and sip water or fluids such as sports drinks. You can also remove any tight or unnecessary clothing, take a cool shower or bath, or use other cooling devices such as a fan or ice pack. If left untreated, heat exhaustion can lead to heatstroke, a life-threatening form of heat-related sickness.If your condition continues to worsen, or your experience vomiting, call 911 immediately. When you have questions like, “How long does heat exhaustion last?” make FastMed Urgent Care your first source of information. We are dedicated to providing our local communities with helpful medical information. When you need answers to health-related questions, visit or contact your local FastMed or check out our online Health Resources Center.